"Apache has been cited by Afrika Bambaataa as an early element of hip hop music with the record sampled and scratched by DJs. 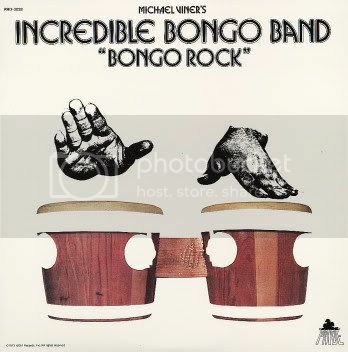 But it wasn't the hit version by The Shadows, Ingmann or Weedon that Bambaataa, Kool Herc and the like turned into "hip-hop’s anthem": it was the 1973 version by Michael Viner and an ad hoc group called the Incredible Bongo Band. They added a bongo drum intro and added more percussion. This version was not a hit on release but became the sampled foundation of rap and hip-hop classics, reworked by hip hop performers "ranging from the Sugarhill Gang and L.L. Cool J to The Roots and Nas, not to mention sampling by techno performers Future Sound of London and Moby and drum and bass acts J. Majik and Goldie." This is the 2006 re-release with a few extra tracks and remixes thrown in for good measure. I already had this but due to the bonus tracks, had to give it a listen!